There is one thing I love about winter time and that's all the knitted clothes I can wear during this time of the year. I absolutely adore wearing thick colourful sweaters and dresses, because they look amazing and also are keeping me warm. But I can not say it's easy to find the perfect knits out there. It can be such a struggle, because now days knitted clothes of high quality are not so easy to find. Fortunately, recently I have found an amazing online store where there are so many amazing knitted garments. I'm talking about Femme Luxe an UK store with amazing clothes. When I first looked at their clothes I was thrilled to see so many cute items. It was so difficult to chose something, because I've liked almost everything I saw! But, eventually I have decided upon four items: a big chunky yellow sweater, an animal print shirt dress and two knitted dresses, one black and one pink. I was so eager to receive my order to see how all the clothes are! My order arrived in about one week which is super fast and was delivered to my door. That was amazing! Also, did I mention you guys that the shipping was free? And all the items were under 25 pounds? A real deal I might say! So, as soon as the order arrived I diged in to see the clothes. In a second I felt in love with the yellow sweater as yellow is my favourite colour! I think it is the most beautiful and thick sweater from my wardrobe at the moment! Also, the animal print dress has an amazing fabric and it's perfect for spring and fall seasons. And the last two items the knitted dresses were so pretty and the fabric amazing! The black one fits me like a glove and I was looking for a dress like it for such a long time and was almost impossible to find one. Thank God I have discovered Femmeluxefinery.co.uk! Unfortunately, the pink dress did not fit me, it was too big for me. I do not understand why as it looked exactly like the black one and I have also ordered the same size. So, I wasn't able to wear it and gift it to a friend. It had such a pretty colour, dusty pink, and was not transparent at all and also pretty thick so you won't feel the cold, I had many hopes for the pink dress, but someone else is enjoying it now! Now, the yellow sweater dress from Femme Luxe I have worn it during a snowy day with a pair of black skinny jeans and black boots. It looked perfect with all the snowy scenery around me and I've took some amazing photos while wearing it. The perfect pop of colour in a white background! The animal print dress I have worn it with a leather jacket, I think it is the perfect combo. For me the animal print is such a classic print and a shirt dress is timeless. So, I will have this dress in my wardrobe for a very long time! As for the black knit dress I have decided to go for a classy and elegant look. I've added a fur collar on my shoulder, black belt around my waist and high heeled boots. I think the dress looks fantastic in this combination and also is such a timeless piece too. I will wear it for many years, because it is a classic dress perfect for winter time. I have to tell you guys that discovering Femme Luxe was one of the best things that happened. 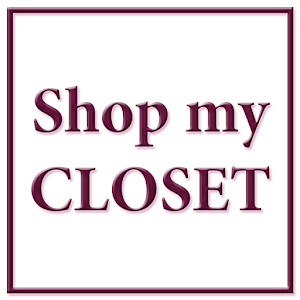 They have so many clothes suiting my style and also their prices are great! If you like classic clothes with a modern twist that you can have in your wardrobe for many years now, then Femme Luxe is the place you should shop for clothes! You won't be disappointed by their design, high quality and amazing prices! I can not wait to see what new products they will add for the spring and summer. I am sure I will definitely be pleasantly surprised and will have a big wishlist.